Amsterdam, 23 March 2018 – Around 16% of the plastic produced annually in the world consists of textile fibers. In recent decades, production has grown by 6% every year and is now around 60 million tons per year. Synthetic clothing is responsible for endless amounts of microfibers which can even be found in drinking water. And what’s worse, hardly any research has been carried out into the presence of tiny plastic particles in the air. An earlier French study showed that plastic microfibers are not just in outdoor air, they are also present inside buildings and in particular in dust on the floor. An analysis of fibers in the air shows that 29% is plastic. 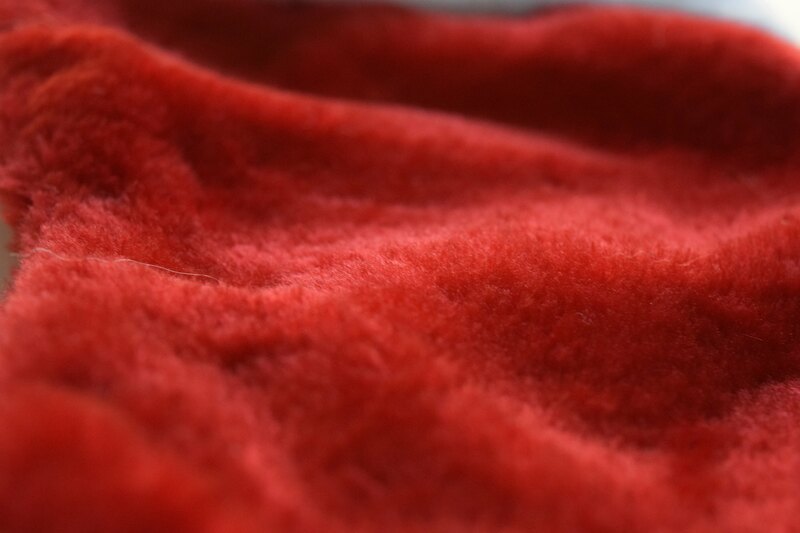 Research has already shown that people breathe in microfibers. Indoors it is babies that crawl on the floor, who breathe in the most fibers. Does breathing these fibers in damage health? In a recently published article in ScienceDirect, the French researchers, this time together with their British counterparts, expressed their extreme concern and called for urgent more in-depth interdisciplinary research. In their article entitled “Microplastics in air: Are we breathing it in?” they discuss where particles are coming from and what the health risks are. Most of the particles people breathe in find their way out again. However there are fears that some of the particles penetrate deep into the lungs and remain there permanently, simply because plastic does not break down. It is possible that the body reacts to these particles, for example through infections, especially in people who are less fit. a significant shortcoming in the research is the measurement method. The researchers were only able to study fibers of 50 μm, but it is vital that particles under 10 μm in size are studied. https://www.plasticsoupfoundation.org/wp-content/uploads/2018/03/Schermafbeelding-2018-03-22-om-17.01.25.png 342 410 Carina van Uffelen https://www.plasticsoupfoundation.org/wp-content/uploads/2015/03/PSFlogo_nieuw-PNG-300x142.png Carina van Uffelen2018-03-23 12:35:302018-03-26 12:54:13How damaging is breathing in microplastics? 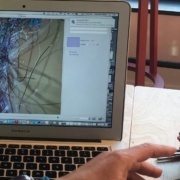 Amsterdam, March 9th – New legislation in California would require clothing items containing more than 50% of polyester to carry a label warning that the garment releases plastic microfibers when machine washed. 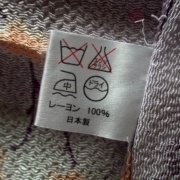 The label would, in that case, recommend consumers to hand wash the clothing item. 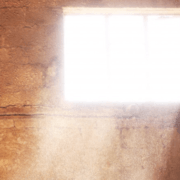 The bill was introduced in February 2018 and, if it passes, it would be prohibited to sell clothing without this label as of January 1, 2020. Hats and shoes would be exempt of this requirement. The goal of this new law is to recognize the threat that microfibers pose in the environment, provide with accurate information to the public and, ultimately, reduce the amount of microfibers that enter the environment. This proposal arises as a reaction to the ever-increasing microfiber pollution of the oceans. According to the bill, synthetic clothes can shed up to 1,900 microfibers per wash and warns about the dangers of these tiny fibers when entering the ocean and eaten by sea life, as they would eventually go up the food chain. However, research from Mermaids Life+ shows that previous studies have greatly underestimated that number: an average of 9,000,000 fibers are released in every 5-kilo wash. The three-year research funded by the EU published its results in the magazine Environmental Pollution. A recent report from the International Union for Conservation of Nature (IUCN) estimated that 35% of all primary microplastics in the oceans originate from machine-washed synthetic textiles, making this the largest source of microplastics, with car tire wear in second place at 28%. The ubiquity of microfibers in the environment pose a serious threat to wildlife as well as humans. Microfibers are so pervasive that they have been found in the most remote places in the world. A blue microfiber was found in the heart of the Himalayas, where no human had ever been before, and an amount of 25.5 billion synthetic fibers enter the water per decade in the area of the Antarctic Sea. A research in 2016 showed that a quarter of the fish bought at local fish markets had plastic in their digestive tracts, 80% of it being microfibers. Fibers are also contaminating the water we drink and the air we breathe. Realistic and drastic measures need to be taken to stop this dramatic situation. California’s legislation sets a good example on the role that the governments can play to solve it. California has traditionally been a worldwide frontrunner in taking environmental measures. They were the first state in the US to ban plastic microbeads before President Obama signed the Microbeads-Free Waters Act in 2015 and single-use plastic bags were banned in 2016. A bill proposed earlier this year, would make it illegal for restaurants to offer plastic straws to customers unless requested. Amsterdam, 2 February 2018 – Plastic microfibers are released during the machine washing of synthetic clothing. 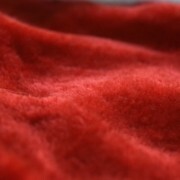 Microfibers in the environment are difficult to tackle and form a huge problem. In its Plastic Strategy the European Commission expresses its support for a new initiative by a European industrial consortium, which aims to prevent plastic microfibers entering water. On 16 January, the very day that the EC presented its Plastic Strategy, the consortium released this declaration. The aim of the industry’s initiative is to find feasible solutions and develop test methods. To achieve this, the consortium intends to spend the first half of 2018 analyzing the problem. In addition to this it wants to put a draft proposal to the European Commission by the end of 2018 stating which knowledge needs to be developed in order to work on possible solutions. The declaration is incredibly vague. The five companies (AISE, CIRFS, European Outdoor Group, Euratex, Federation of the European Sporting Goods Industry) could, however, save themselves months of effort, since the European Commission already had research carried out into synthetic microfibers long ago. The main conclusion of the Mermaids Life+ project is that 600,000 and 17,700,000 microfibers are released during every five-kilo wash (an average of six million per wash). This and other results were published at the end of 2017 in the scientific journal Environmental Pollution. The Mermaids project also developed an analysis method based on scanning a filter (with a mesh size of 5 µm) using an electron microscope. This makes it possible to count the number of fibers released per wash relatively accurately. So why has the consortium failed to even mention research carried out by the European Mermaids project, while at the same time saying it wants to analyze the problem and focus on developing harmonized test methods? 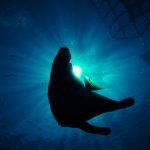 After all the problem has long been analyzed, not just by Mermaids, but also by other research groups, such as the one led by professor Richard Thompson of the University of Plymouth. The results of which are largely consistent. There is currently enough known on which synthetic materials release more or fewer fibers, which temperatures reduce fiber release and whether, for example, it matters which detergent is used. So what is actually going on? Measures to prevent fiber loss will be radical and that is a huge threat to the whole textile chain. The joint action taken by the five industrial organizations is a tried and tested strategy, which could be described as ‘obstructive cooperation’. It entails recognizing that there is a problem and then taking as much time as possible to analyze and research it. The essential thing is to avoid or influence government regulation by being the first to announce action. The European Commission should have set conditions for measures aimed at reducing the loss of fibers and it should have done so on the basis of the European Mermaids life+ project. Recently, an Argentinian study was published into microplastics in coastal freshwater fish captured at the Rio de la Plata. Eighty-seven fish belonging to eleven different species were studied. Microplastics were found in all fish. Plastic microfibers represented 96% of the microplastics. However, a other research from Wageningen shows an entirely different result. Four hundred North Sea fish belonging to four different species were studied on the presence of microplastics (bigger than 20 μm). Just two microplastics were found in one fish, a sprat. How can we explain the vast difference between these two studies? The researchers from Wageningen found it suspicious that earlier researches had reported relatively large amounts of microplastics in fish. They suspected contamination; pollution of the fish by the researchers of the earlier studies, such as fibres from clothing worn during the investigation or the presence of plastic particles in the air. That is why this time the research was designed in such a way that contamination could be eliminated. Their conclusion: fish possibly ingest less microplastics than is generally thought. Beat the microbead, Microbeads, News, Ocean Clean Wash, Synthetic fibers, What is plastic soup? The Algalita Marine Research and Education Foundation has returned from an expedition to the South Pacific Gyre in the South Pacific Ocean. The organisation found a worrying amount of plastic there. 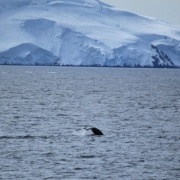 The expedition was led by Captain Charles Moore, who discovered the plastic soup in 1997 and gave it its name. Since then he has done thorough research into the plastic soup in the North Pacific Gyre, a rotating ocean current in the North Pacific Ocean. Given the vast amount of plastic that is accumulating there, it is called the Great Pacific Garbage Patch. Algalita gave the name the South Pacific Garbage Patch to the high concentration of plastic that it recently discovered in the South Pacific Ocean. The South Pacific Garbage Patch covers an area of at least one million square kilometers, which is larger than the surface area of Germany and France combined. Most of the plastic consists of microplastics such as microbeads, microfibers from clothing, and small fragments from weathered large pieces of plastic. 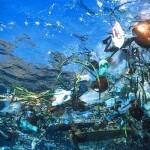 In 2009, Algalita recorded six kilos of plastic for every kilo of plankton in the Great Pacific Garbage Patch. The ratio of plastic to plankton is not yet known for the South Pacific Garbage Patch. However, Charles Moore expects that the amount of plastic there is about 10 years behind the northern gyre. The difference in the amount of plastic used between the northern and southern hemispheres could explain this. Europe and the United States of America have used huge amounts of plastic for years, while regions such as South America and Asia are now catching up. According to the researchers, the solution lies in reducing the amount of plastic that people produce, use and dispose of around the world. It is important to stop plastic leakage into the environment at source. This is the only way that we can ultimately stop plastic from entering the ocean. Once it is in the ocean, it is virtually impossible to remove. Clean rivers, Microbeads, News, Ocean Clean Wash, Synthetic fibers, What is plastic soup? At the foot of the holy Langju Glacier, at nearly 6.5 kilometers altitude, at the very heart of the Himalayas, a blue plastic microfiber was found. The fiber was found in a water sample taken from the mountain by a team from Vertical Nepal in October 2016. The government of Nepal recently opened the holy Langju Himal area to the public. Vertical Nepal, an expedition led by the Arctic explorer Lonnie Durpre, used the occasion to collect water samples for the Adventure Scientists’ Global Microplastics Initiative. The Adventure Scientists are collecting as much data as possible on microplastics and plan to use the data to stop microplastic leakage into the environment. The newly explored area has never been visited by people before. The expedition team was then very surprised that the water sample contained plastic. How the plastic fiber got there is still a mystery. One of the Adventure Scientists’ theories is that plastic fibers were carried to the mountain on the wind. This would explain why plastic was found in places where people have never been. According to researchers at King’s College London, the current methods of testing air pollution needs to be adapted to include microplastics. In Paris, fallout from microfibers was measured for the first time last year. For one year, the microfibers that floated down in the air were counted in two locations – in Paris itself and in a town just outside Paris. The fibers, some of which were plastic, land on land or in water and then flow out to sea. They ultimately become part of the plastic soup. The Plastic Soup Foundation congratulates the Rozalia Project’s Rachel Miller on her successful Cora Ball Kickstarter campaign to reduce pollution. The Kickstarter campaign reached its goal of $10,000 within three hours and is currently at over$162,000. 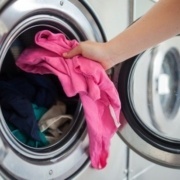 Millions of minute synthetic fibers are released every time we wash synthetic clothing. The fibers are washed with the laundry water into the environment, enter the food chain and end up on our plates. The Cora Ball is one of the first innovative solutions for this problem. The design of the Cora Ball is a form of biomimicry – technology that is inspired and based on mechanisms in nature. One potential solution for the problem of plastic fibers in the ocean actually comes from the ocean itself. The Cora Ball is inspired by coral’s ability to filter minute food particles from flowing water. 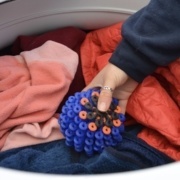 The water in washing machines flows past the Cora Ball and the microfibers stick to its stalks. To make the scale of the problem easier to visualize, Miller gives the comparison that if only ten percent of American households would use the Cora Ball, it would prevent more than thirty million plastic bottles from entering the environment. Amsterdam, 8 May 2017 – By machine washing our clothes, we are polluting our seas and oceans. This is the shocking result of years of scientific research, which will be presented during a press conference at the Conscious Hotel in Amsterdam tomorrow. It has been proven that fibers from synthetic clothing are not only found in water, but even in the food we eat and the air we breathe. An International Union for Conservation of Nature (IUCN) report published in February 2017 also claims that the use of synthetic fibers increased by 79.3% between 1992 and 2010. The European Food Safety Authority (EFSA) now considers micro and nanoplastics as a potential threat to our food safety. Consuming fish and shellfish that contain tiny particles of plastic could possibly lead to health risks. Plastic Soup Foundation (PSF) is the communications partner of the Life+ Mermaids consortium. This three-year project saw thorough research performed into fiber loss in washing machines, as well as successful experiments – a world first – with bio-based coatings made from shrimp (chitosan) and plants (pectin), which managed to reduce fiber loss by a spectacular 50%. During this research project, the Plastic Soup Foundation also actively reached out to other parties aiming to solve this problem. Throughout the world you can find many innovative grassroots attempts to stop fibers from being deposited in the rinse water. In the United States, for example, the Cora Ball is now being produced after a successful crowdfunding campaign. The natural filtration system of coral formed the inspiration for this ball, which filters tiny particles out of the rinse water in the washing machine. Another example is the Guppy Friend, a special bag for in the washing machine created by a group of surfers, skaters and creatives from Berlin. The bag traps microfibers and prevents them from reaching the water supply. The research results will be presented at the press conference in the Conscious Hotel in Amsterdam, which will also see the people behind various solutions to the problem meet for the first time. To access the final Mermaids Life+ reports, please fill in this form to download the files.